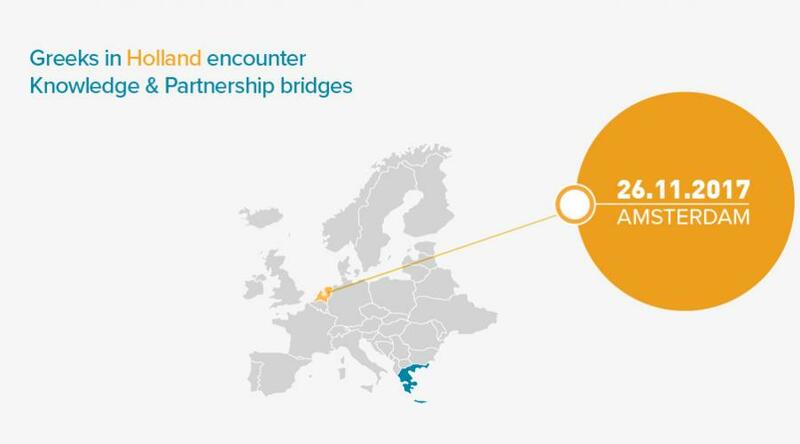 On 23, 24 and 25 November “Bridges” will participate in the “2nd EU Jobs & Mobility Roadshow” which will take place on cities of Northern Greece and on 26 November in a special event at the University of Vrije in Amsterdam. Through the participation in the “2nd EU Jobs & Mobility Roadshow”, to be held in towns of Northern Greece 20- 25 November 2017, “Knowledge & Partnership Bridges” will have the chance to update young people, students, researchers, graduates and entrepreneurs as to how they can benefit from any interconnectivity between them. Representatives of the “Bridges” team from the National Documentation Centre will be in Drama, Serres and Thessaloniki on 23, 24 and 25 November 2017 respectively to update those present on the progress so far and the objectives of ‘Bridges’ in addition to how they can participate in the initiative and the platform www.knowledgebridges.gr. The event is designed to interest not only the general public but also targeted groups such as students, young graduates, young entrepreneurs, researchers, the long-term unemployed and, among other things, will focus on the issue of new immigration, which has recently seriously affected the country, especially areas in Northern Greece. On 26 November 2017 “Bridges” will visit Amsterdam. The special event will take place at the University of Vrije and will include discussions on the networking of Greeks abroad with those who live in Greece, the means of achieving this and the benefits arising from it. In order to inform Greeks living in the Netherlands about the ways in which they can join the worldwide network of Greeks, “Bridges” invites them all to attend the event, which is being jointly organized by the National Documentation Centre, the Hellenic Community of Amsterdam and the Greek Embassy in Holland. The General Secretary for Strategy & Private Investment, Professor Lois Lamprianidis and the Director of the National Documentation Centre, Dr. Evi Sachini will be speakers at the event, and there will be a “round table” on the topic of the networking of Greeks in the Netherlands. Taking part in the latter, will be Greeks living in the Netherlands who are also actively doing business in Greece, experts in networking areas and live skype with Greeks who have returned to Greece from the Netherlands to set up their own company. “Knowledge & Partnership Bridges” is a new national initiative which is being implemented by the National Documentation Centre (EKT) and has been designed by the General Secretariat for Strategy and Private Investment of the Ministry of Economy and Development. The initiative is designed to promote available opportunities for all Greeks and actively support them with network services, so as to achieve partnerships between Greek professionals abroad and those in Greece, and to create entrepreneurial networks and research links of a developmental nature,for the benefit of the individuals themselves and the Greek economy. It aims to inform Greek professionals who live and work abroad about the opportunities for and the conditions of gaining access to financial resources, initiatives and institutions (eg incubators) which facilitate this co-operation. It will be used to collect data on Greek scientists living and working abroad. Using this data on their exact number, their needs and their profiles will enable the further development of targeted policies.